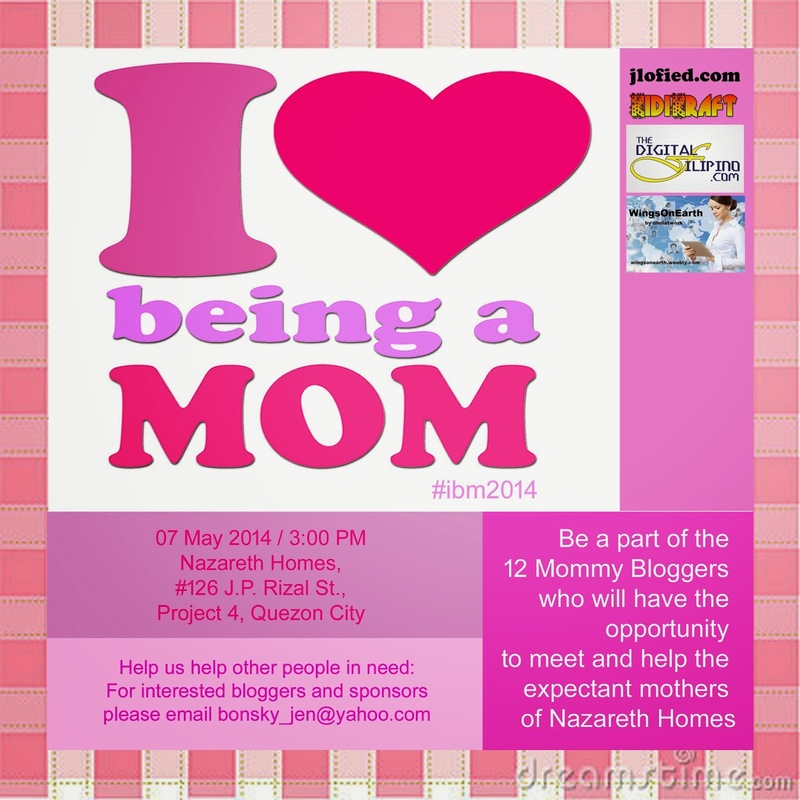 jlofied.com is currently on a lookout for donors and sponsors for the upcoming I Love Being a Mom 2014 happening on 7 May 2014. The #ibm2014 is an advocacy campaign organized by jlofied.com with the main objective of showing that Social Media can be a platform for social change and anyone has the power to motivate others to give back to society. The project also aims to promote Nazareth Homes as an institution that provides services to single expectant mothers and to encourage these mothers to continue with their lives despite of their unwanted pregnancies, and that life has to go on. If you would like to be apart of this meaningful initiative to help other moms in need, please feel free to take at the list of support requirements below or you may share this post to your social network. Salamat! Inclusion on marketing materials (e.g. brochures, flyers, and etc.) on the Bloggers Kit. Please leave us a message at bonsky_jen@yahoo.com on the kind of donation or sponsorship you would like to give and we will be more than willing to send you our details where you can deposit or send donations or sponsorship.